...founded by Don Pedro de Aviles of Spain in 1585. Each year visitors come to explore the more than four centuries of history, exquisite architecture, beautiful natural scenery and pristine Atlantic Coast beaches. And among those visitors are those with an affinity for apparitions and the paranormal—because inside the walls of the historic buildings, along the cobblestone streets and lingering among the people, there are many spirits of those who’ve lived and died here, those who’ve chosen never to leave. 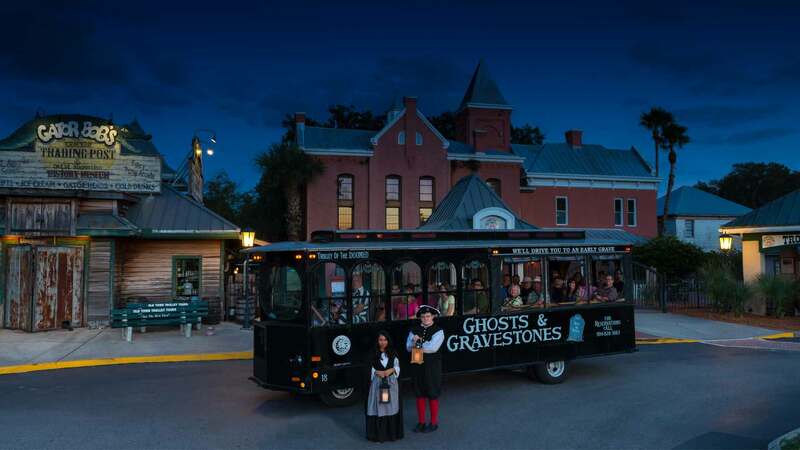 Here are the Most Haunted Places in St. Augustine that lure ghost hunters in every day. St. Augustine’s Old Jail is one of the most haunted locations in the city. Listed on the Florida and National Register of Haunted Places, tourists and locals alike visit the Old Jail to experience the supernatural stories firsthand. Henry Flagler, a key figure in St. Augustine’s development, built the structure in 1891 and conditions for prisoners were notoriously inhumane. Some of the most dangerous criminals were housed in the jail’s maximum-security area, and eight men were hung from the gallows. 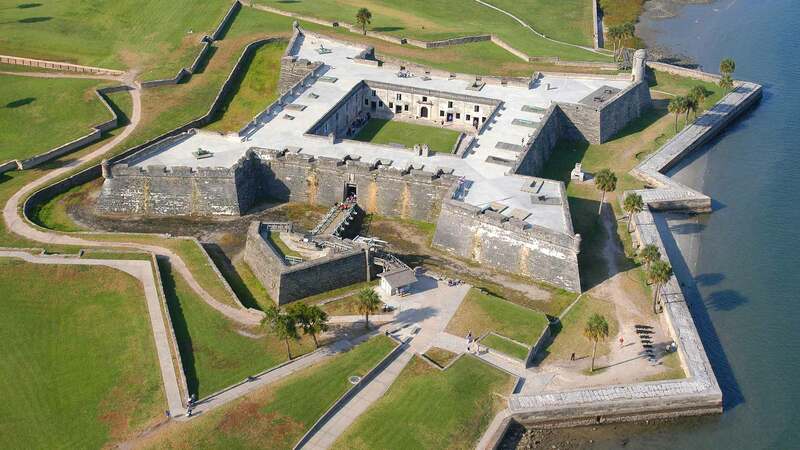 The largest masonry structure of its kind in the USA, the magnificent 17th century fort stands as it has for many centuries, guarding the coast against invasion and surviving more than 300 years of battles and storms. It’s here that many supernatural enthusiasts flock to investigate the accounts of inexplicable events. Within one of the watchtowers there have been reports of a light shining from a fixture that has no electricity running to it. Other spooky occurrences include the sighting of a Spanish Soldier standing at the edge of the fort, looking out to sea just when the sun is about to rise or set. In the dungeon, many people say they felt as if someone with cold hands was touching them; others felt queasy and cold while walking through. It’s also not uncommon for visitors that have shot videos and taken pictures while taking a tour to report the appearance of misty shapes, glowing orbs and even the sea-through shape of a person. When you enter this historic building don’t be alarmed by the unnerving sensation you feel—as if a sad, heavy presence is surrounding you. This feeling has been experienced by many who enter into the hospital, which was rebuilt in 1821 when the city had to replace the water lines that ran under the building. When construction began, workers discovered thousands of human bones buried underneath the hospital. After some investigating, they learned that the hospital sat on a Timucuan burial ground – the Indians that were native to St. Augustine in its earliest years. Whether the presence people felt was that of the spirits of these lost souls is unknown, but hauntings in the building still occur to this day. Moans, screams and cries, misty sightings of patients in hospital gowns and the outline of a body laying on the beds when no one was there are just a few of the accounts. Located just across from the Old City Gate, the Huguenot Cemetery opened in 1821 to offer a final resting place to those who were of other faiths since the nearby Tolomato cemetery was reserved for Catholics only. In the beginning, many of the deceased laid to rest were victims of the yellow fever epidemic that swept through the city. The ancient burial ground is believed to hold approximately 436 bodies and was open for burials until 1884. Today, it is home to a variety of ghosts who’ve been spotted by visitors at all times of the day and night. 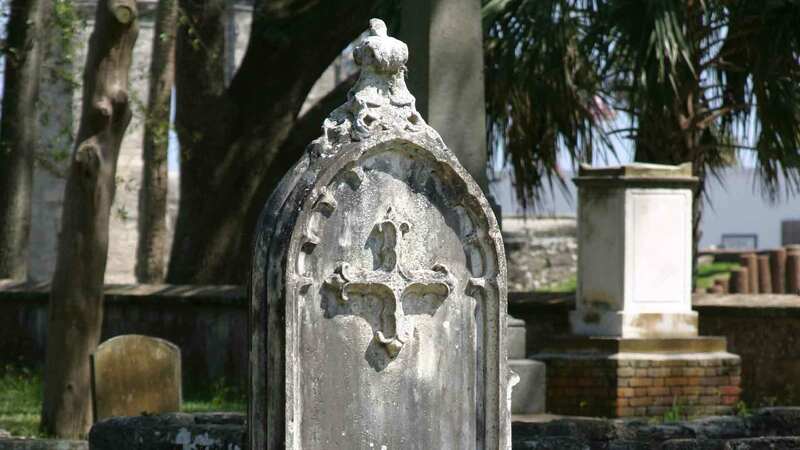 The most famous ghost is the spirit of Judge John B. Stickney who was well liked in St. Augustine and known for offering free legal advice and services to his neighbors. After passing away from yellow fever, the honorable judge was buried in 1882 and remained there until his grown children decided to relocate him north to be closer to the family. During his exhuming, it is said that thieves stole the judge’s gold teeth from his mouth and other valuables he’d been buried with. It’s this unfortunate event that many feel is the cause of the Judge’s unhappy spirit that still resides within the cemetery. He’s been seen sitting in a tree and roaming the grounds. The judge isn’t alone here—there are several other spirits that have chosen to haunt the cemetery including one of a young girl who also died from yellow fever. Step inside the Casablanca Inn for lovely views of the Matanzas Bay and an elegant hideaway on your St. Augustine vacation. But be prepared to be spooked, as this Mediterranean style bed and breakfast has a history of ghostly activity that is sure to send a chill up your spine, even on the warmest Florida afternoon. The story goes that the woman who owned and operated the Casablanca began consorting with and working for some seedy characters involved in bootlegging when she was faced with financial ruin. 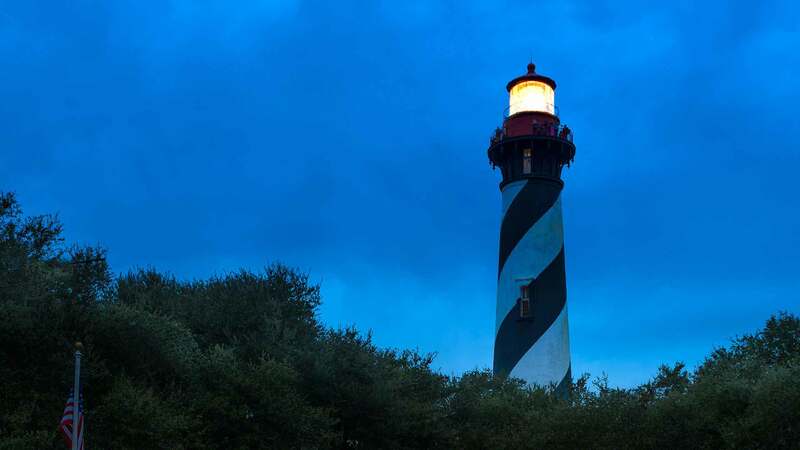 She became their lookout – warning them when investigators were nearby by waving a lantern in the window of a second story room that faced the ocean. As payment, she not only got paid handsomely, she also got alcohol to serve her patrons. Since her death, many have reported seeing a white light shimmering back and forth in that very same window. Other eerie activity includes the sounds of light footsteps on the wooden floors, disembodied voices of children and a misty shape resembling an elderly lady floating about the inn. The St. Augustine Lighthouse was built in the 1600s by Spanish settlers and served the city for many years until tidal erosion and damage from harsh weather conditions made it necessary for a new one to be constructed. 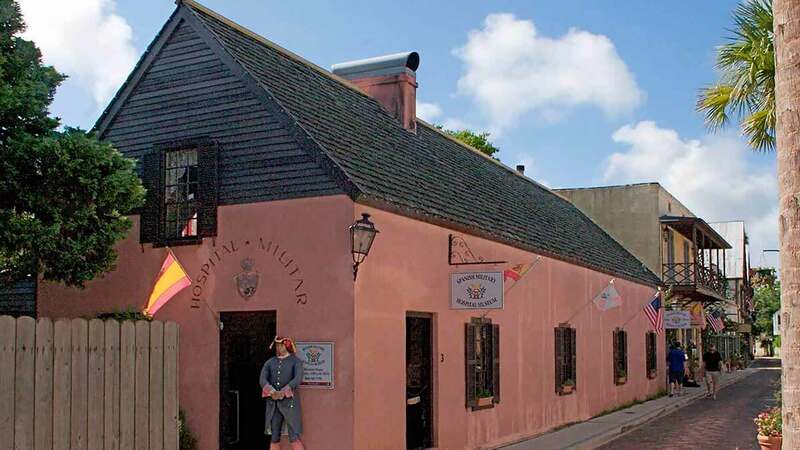 Its replacement, built in 1874, is a St. Augustine historic landmark visited by thousands of people each year. It’s also well known for its ghostly inhabitants and has been featured on TV’s popular Ghost Hunters show. During its long history, several tragic events have occurred that many feel attribute to the unusually high level of paranormal energy and ghost sightings within the lighthouse and on its grounds. One of the first was when the lighthouse keeper Mr. Andreu fell to his death while painting the tower. During one of the visits from the Ghost Hunters show, they captured an apparition on film that many believe to be the old keeper’s ghost, still watching over the lighthouse. Another horrific event was the death of two young girls who drowned when the handcart they were playing in broke and fell into the ocean. Many have seen at least one of the girls roaming about and others have heard the voices of children playing inside and outside the building. No matter what anyone believes, the fact that there is something mysterious and unusual about this famous St. Augustine icon is never disputed. 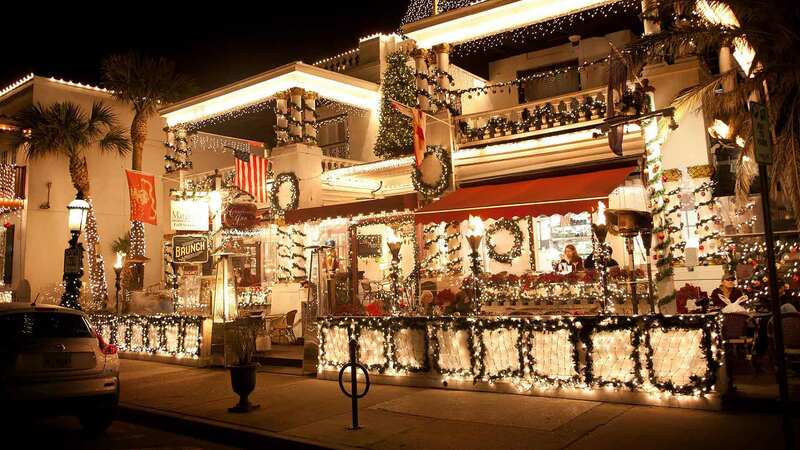 The oldest city in America is home to so many incredible historic places and attractions. It’s no wonder that after 400 years and counting, this beautiful coastal area is also considered to be one of the most haunted cities in the country.